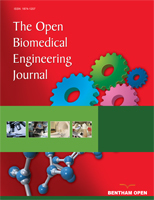 The main contribution of this paper is the use of non-invasive measurements such as electrocardiogram (ECG) and photoplethysmographic (PPG) pulse oximetry waveforms to develop a new physiological signal analysis technique for detecting blood loss during surgical operation. Urological surgery cases were considered as the control group due to its generality, and cardiac surgery as experimental group since it involves blood loss and water supply. Results show that the control group has the tendency of a reduction of the pulse transient time (PTT), and this indicates an increment in the blood flow velocity changes from slow to fast. While for the experimental group, the PTT indicates high values during blood loss, and low values during water supply. Statistical analysis shows considerable differences (i.e., P <0.05) between both groups leading to the conclusion that PTT could be a good indicator for monitoring patients' blood loss during a surgical operation. Keywords: Pulse transit time (PTT), urologic surgery, cardiac surgery, blood loss, water supply..
© Wang et al. ; Licensee Bentham Open.